Millions of levothyroxine-treated hypothyroid patients complain of impaired cognition despite normal TSH serum levels. This could reflect abnormalities in the type-2 deiodinase (D2)-mediated T4-to-T3 conversion, given their much greater dependence on the D2 pathway for T3 production. T3 normally reaches the brain directly from the circulation or is produced locally by D2 in astrocytes. Here we report that mice with astrocyte-specific Dio2 inactivation (Astro-D2KO) have normal serum T3 but exhibit anxiety-depression-like behavior as found in open field and elevated plus maze studies, and when tested for depression using the tail-suspension and the forced-swimming tests. Remarkably, 4-weeks of daily treadmill exercise sessions eliminated this phenotype. 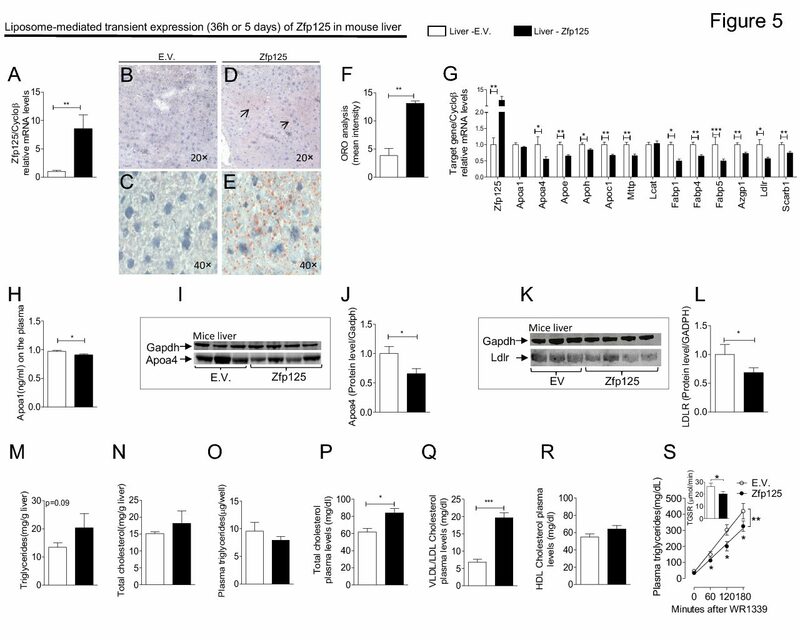 Microarray gene expression profiling of the Astro-D2KO hippocampi identified an enrichment of 3 gene sets related to inflammation and impoverishment of 3 gene sets related to mitochondrial function and response to oxidative stress. Despite normal neurogenesis, the Astro-D2KO hippocampi exhibited decreased expression of 4/6 known to be positively regulated genes by T3, i.e. Mbp (∼43), Mag (∼34%), Hr (∼49%) and Aldh1a1 (∼61%) and increased expression of 3/12 genes negatively regulated by T3, i.e. Dgkg (∼17%), Syce2 (∼26%) and Col6a1 (∼3-fold) by RT-qPCR. 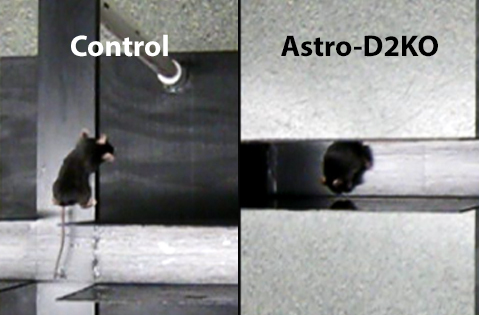 Notably, in Astro-D2KO animals there was also a reduction in mRNA levels of genes known to be affected in classical animal models of depression, i.e. Bdnf (∼18%), Ntf3 (∼43%), Nmdar (∼26%) and GR (∼20%), which were also normalized by daily exercise sessions. These findings suggest that defects in Dio2 expression in the brain could result in mood and behavioral disorders. Type 2 deiodinase disruption in astrocytes results in anxiety-depressive-like behavior in male mice.